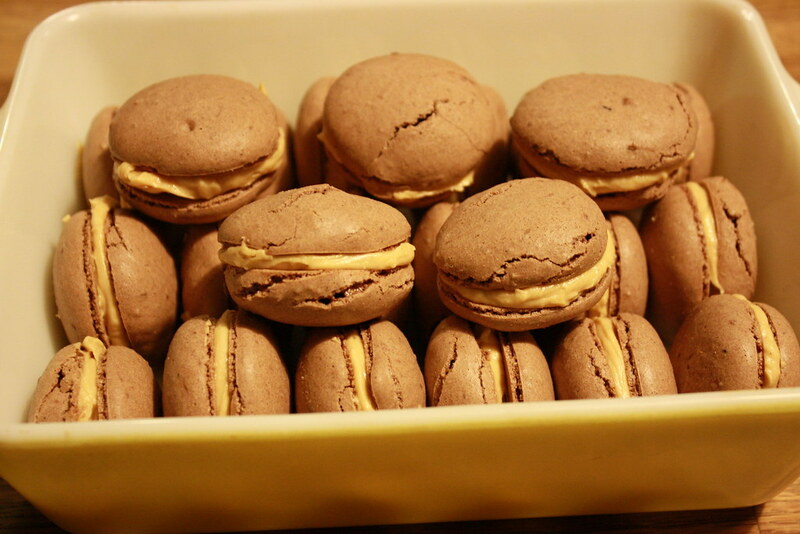 If you visit any cooking websites, you’ve undoubtedly heard of the French macaron. It appears to be quite the fad in the cooking world these days. A quick search on Foodgawker brings up six pages of recipes in every color and flavor combination. I really didn’t know what the allure was, I had never in my life tasted a macaron, but seeing them all over the internet, and then seeing my favorite Thursday Night Smackdown try (and fail) three times to make them, it made me want to give them a try. 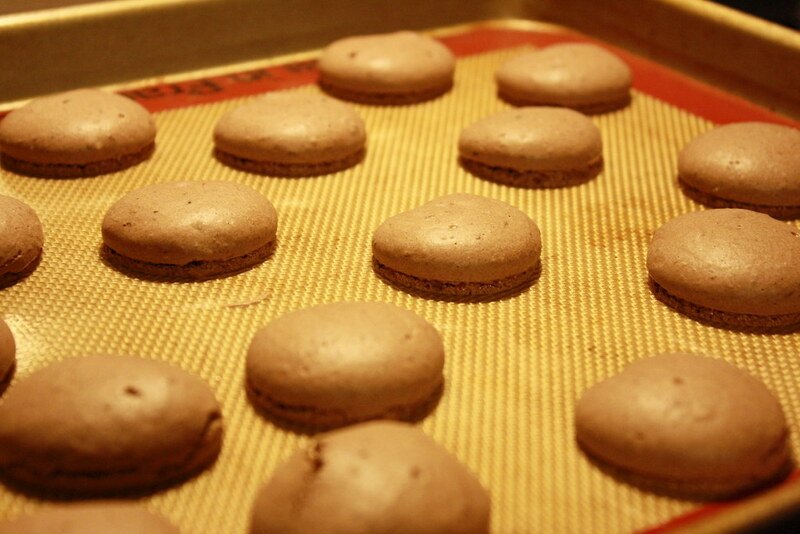 The word on the street is that macarons are hard to make. Even Wikipedia says, “Making macarons requires a great deal of discipline and is a process that is highly dependent on exactitude, technique, and proper equipment. For this reason it is a notoriously difficult recipe to master and a frustrating endeavor for the amateur baker.” I laugh in Wikipedia’s face because, guess what? This amateur baker got them right on the first try. The only reason I can think of that I managed to make them right on the first try is that I read about forty recipes before trying to make them, and I heeded all of the warnings. Each recipe, no matter how different the technique, said two things: age your egg whites (that means leave them on the counter overnight – gross, I know), and weigh your ingredients. Now you my dislike for following recipes. I hate to measure, but apparently I love to weigh. It makes me feel fancy, like an olde timey apothecary. 100 grams of this, 25 grams of that, I loved it! I even weighed the ingredients for the filling even thought it was essentially peanut butter buttercream and, really, you can make that without measuring at all. I aged my eggs, I ground my almonds, I measured my ingredients, I let them sit for an hour before I baked them so they could form a crust and… voila! A few macarons cracked but they didn’t deflate so I consider that a success! I let them sit in the refrigerator overnight before filling them with the peanut butter buttercream and, holy cow. Now I know what all the fuss was about. They’re light and crispy, then rich and chewy and the dark chocolate with the salty peanut butter, mmm… they’re perfect. I wish I could link you to a recipe but I sort of blended a few recipes together. I followed Tartlette’s instructions (about halfway down the page there’s a link to a PDF of her “tried and true recipe” which I followed, mostly) and My Madison Bistro is where I got the recipe for the filling. I also read Serious Eats, David Lebovitz, and Bakerella before embarking on my own macaron journey – which I highly recommend. 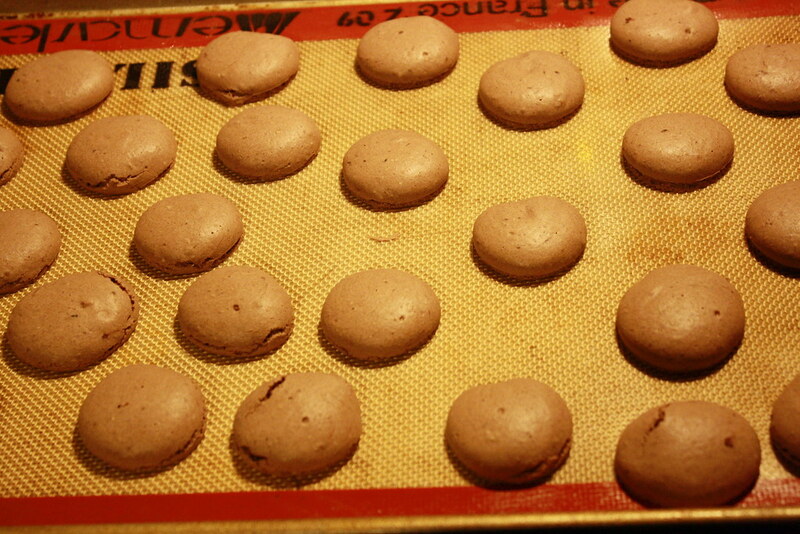 And just so you don’t think I’m bragging about making macarons right on the first try, I have to tell you. After filling the macarons and taking pictures of how pretty they were, I put them safely in the fridge, feeling pretty good about myself, and then burned an entire pan of brownies to a smoking crisp. You can’t win every time. Next Post → I didn’t know Urban Dictionary knew me so well. oh my——I want to eat these cookies. Thanks for sharing all the tips and links. Maybe I’ll get brave enough to try them someday . . . or I’ll show up on your doorstep. Oooh… I’ve wanted to try making these but have been so intimidated! They look scrumptious! Congrats! I too tried making macaron for the first time this weekend and voila! success on the first try. I sent the pictures to my French mother-in-law and fellow Laduree devotee in Paris – and boy was she impressed. 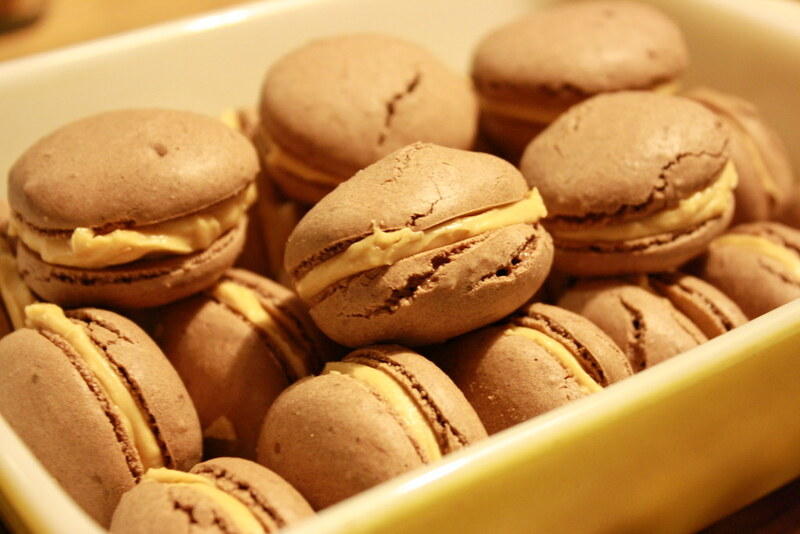 An American daughter-in-law who makes macarons – c’est incroyable! (in France, only highly skilled pastry chefs attempt this). Anyway, I now wonder what the big fuss is all about. They are not at all hard to make. But don’t tell anyone – let’s keep everyone thinking they are.